Meet Jackie Robb, a Shanghai-based alumnus of Monash University, Melbourne. Advance recently spoke to Jackie about how studying in Australia contributed to her for a successful career and the benefits of staying connected to Monash University Alumni. How did studying in Australia at Monash University help set you up for a successful career? Studying at Monash University opened my eyes to a new world – I gained a degree in Economics/Accounting and I found a new home country. I became a naturalised Australian and with a degree from Australia, it was easy for me to find work after my graduation and migration. Studying in Australia also gave me cultural exposure, the language, the food, the way of life was so different from my country of birth. It was very useful when I started work in Australia, I understood the Australian way. I was very lucky to have so many opportunities in my career to work across a broad spectrum of roles including CFO, CIO and CLO. Currently, I am the President of Staples Greater China, based in Shanghai. The learnings I gained from my education in Australia and my experience has helped me in my current role immensely. Staples China has undergone significant positive transformation in the last four plus years and my team and I have turned the company around into a sustainable profitable business, growing at a significant rate year on year. What were the most beneficial resources you had at your disposal during your time at Monash? The access to the lecturers, the career advice and support were the most beneficial resources at Monash. I actually completed a degree in Economics/Accounting and a Masters of Business Systems with Monash. Currently, I am undertaking the Senior Executive MBA with Melbourne University. All Australian universities provide such first class resources in learning, through their esteemed professors and lecturers, and their entire support network of career, coaching and learning material, provided both online and in situ. It is a deep learning experience where you learn new concepts, ideas and skills and, in addition, collaborative learning building a network of cohorts, a critical resource for any career minded person. How long did you spend in Australia? Do you travel back there frequently? I travel back every few months to attend my SEMBA course. What are the benefits of staying connected with Monash University alumni? The alumni are very useful to keep in touch with, it is a very large network of professionals. The alumni host a lot of local functions in Shanghai and it is a good way to meet new people and new business contacts. Do you connect with any Australian expats in Shanghai? 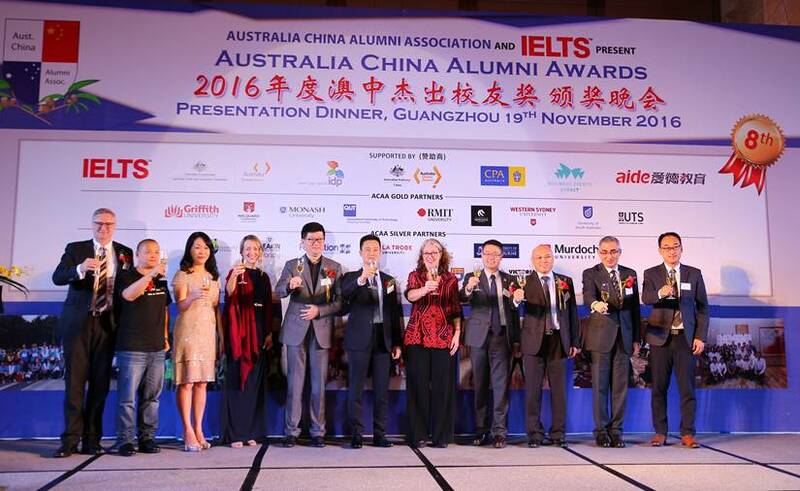 Yes, there is the AustCham and I connect with the Australia China Alumni Association. In 2016, I was very honoured to have been awarded the Australian Ambassador’s Award for Women in Leadership. Do you feel as though your experience studying in Australia and immersing yourself in Australian culture gave you an advantage for working in a Chinese market? As I mentioned earlier, the Australian experience was a huge cultural change for me and when I came to China, I was very careful and sensitive to respect the cultural aspects of doing business in China. Moreover, the Australian saying of “No worries” has helped me keep my sense of humour in a very challenging environment. Why did you choose to study in Australia over another international market, say the US? It was for two reasons: my father did not want me to go to the US, he felt that the US was not “safe”. I also liked the structure of the university degrees in Australia more than that of the US.